Seattle’s list of claims to fame is not brief. When separated by decades, the 1980s were defined by Microsoft’s ascension to a household name. The counter-cultural response to this corporate rise was the emergence of grunge onto the American music scene in the ’90s. And controversial red-zone play calls have thus far defined the 2010s (…too soon?). But what about the aughts? The decade of dot-com bubbles and Starbucks proliferation has come to be known for its culinary expansions as much as anything else, and Seattle is no exception to this trend. Seeds planted in prior decades blossomed as food trucks, and craft breweries became commonplace. 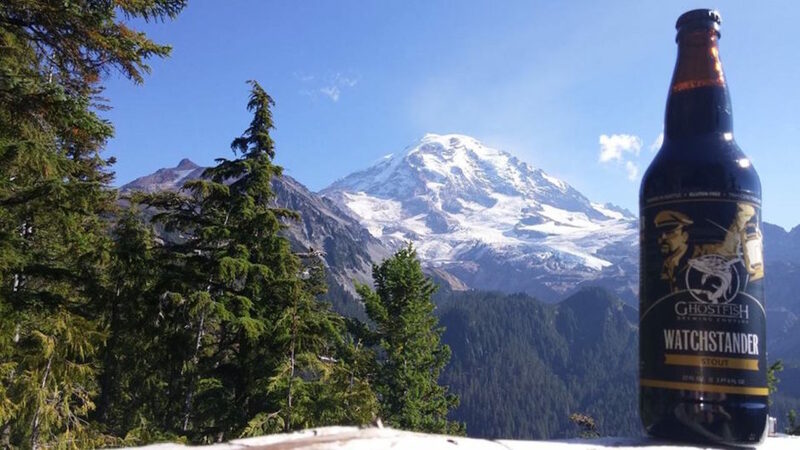 The city of Seattle is synonymous with both — its street corners were among the first to welcome mobile food vendors, and its craft beer scene is as prolific today as any in the US. 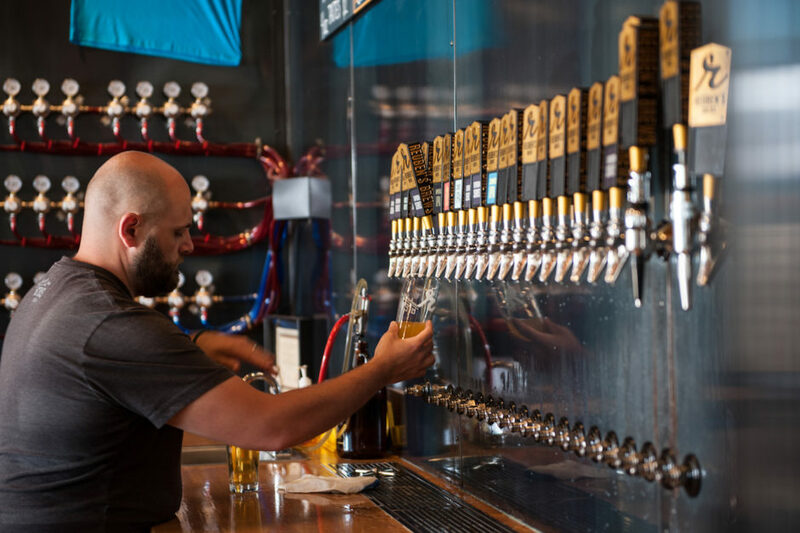 Here are 14 craft beers from the Emerald City you shouldn’t miss when you’re in town. In fact, you might want to just plan your trip around them. Formerly known as Kentucky Dark Star, this bold imperial stout from Fremont Brewing is laid to rest for many months in 15-year-old bourbon barrels before first seeing the light of day. Recent iterations of the beer have included versions with coffee, vanilla, cinnamon, and other winter spices. Be careful not to serve this one too cold. 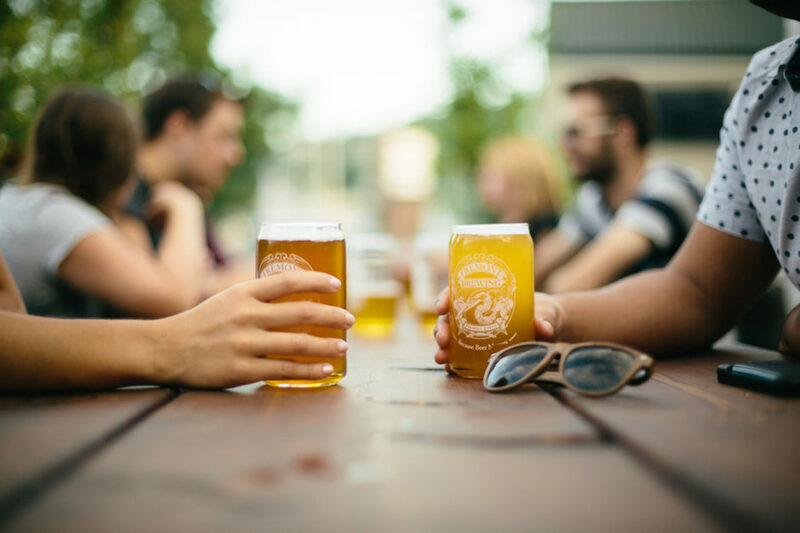 You can visit Fremont Brewing and order a pint at their Urban Beer Garden, just north of Lake Union over the Aurora and Fremont Bridges, any time of year. Dark Star, though, is unleashed annually in October, to much fanfare. One sip lets you know this beer undoubtedly ranks among the city’s finest. “Life’s a little more honest after two beers.” That’s the philosophy behind Two Beers Brewery, located a quick hop south of downtown in the Industrial District, aka SoDo. 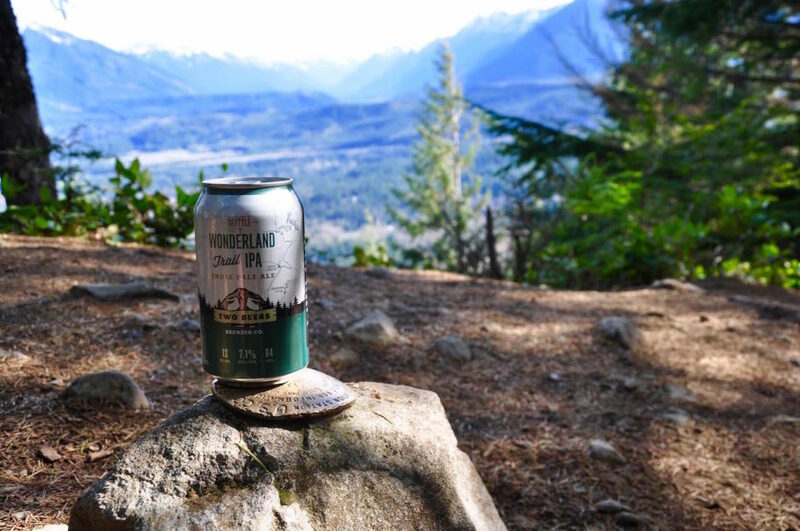 While their taproom-only specials are worthy of inclusion, the excellent Wonderland Trail IPA is a more practical, readily available choice. Clean malts give way to a fresh, earthy hop backbone that’s perfect for a sunny spring day. This six pack of cans feels equally at home in the backcountry or in the backyard. Sometimes you just need something rich, smooth, and drinkable. Hilliard’s Beer has you covered on those days with their Murdered Out Stout — an Irish Dry Stout in the same vein as that famous draft beer sharing its name with a world records book. But unlike that ubiquitous offering, Murdered Out doesn’t skimp on flavor. It’s bursting at the seams with coffee and chocolate, creamy and dry throughout. 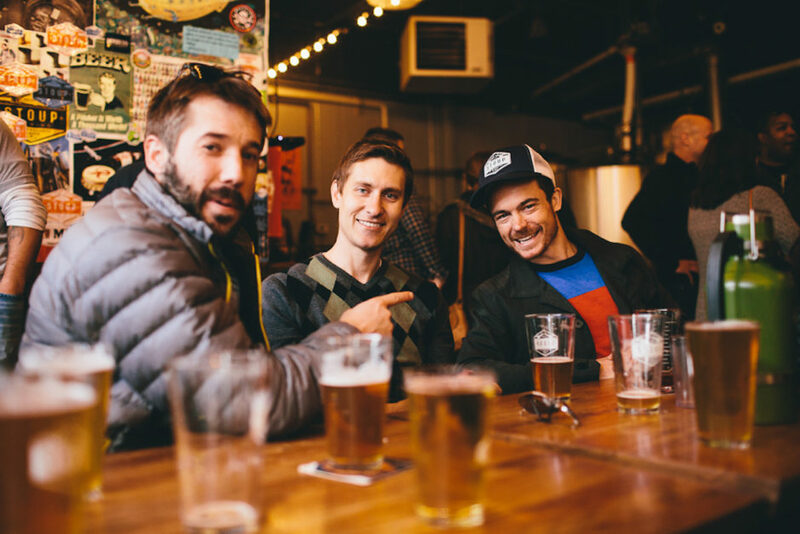 Find an empty bar stool, order one on draft, and enjoy an evening hanging out in Ballard. For those looking to trek along the lighter side of the beer spectrum, head across the street from the Mariners stadium downtown to the popular Pyramid Brewing. 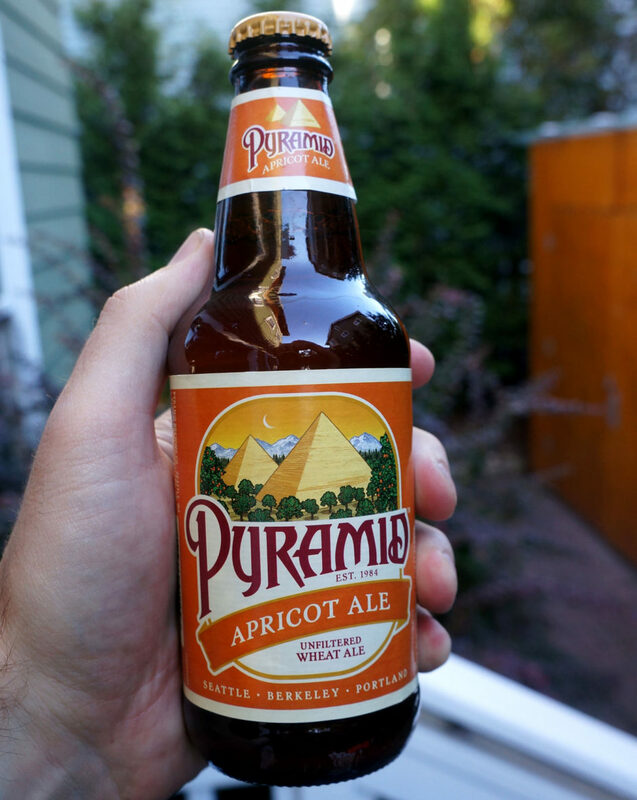 Their Apricot Ale is a bright, fruity wheat quencher that really hits the spot on game day. And while it’s been around for over 20 years, that’s no reason to pass it by — it’s won three gold medals at the Great American Beer Festival, most recently in 2014 in the Fruit Wheat Beer category. Pyramid as a whole continues to innovate and evolve. While you’re in town, keep an eye out for their new Pale Ale cans, a solid pick for your Pacific Northwest summer camping trip. Freshly hopped pale ales are quite popular these days, likely due to the balance they strike between a refreshing golden ale and a full-on IPA. If you’re searching for a good example of this in practice, look no further than Fremont‘s Cowiche Canyon Organic Fresh Hop Ale. The brewery’s commitment to using organic, locally sourced ingredients is no joke — the hop harvesting schedule is sufficiently limiting that this beer is only made once a year. So when you do finally see it on offer, you know it’s fresh! It’s no secret — the popularity of the IPA style has skyrocketed this decade. Blimey That’s Bitter! by Reuben’s Brews rides the trend to new heights as a bona fide Triple IPA. Grab a 650ml bottle and strap in your taste buds as wave after wave of hoppy goodness assaults your palate. This one falls into the piney category, with a minimal malt backbone and plenty of kick in the aroma. If you love your IPAs extra hoppy, this is one not to miss. It’s released annually so might be hard to find depending on when you visit, but the Reuben’s Brews taproom is open year round and is always worth the trip up to Ballard to sample whatever’s pouring at the moment. The brewers at Holy Mountain Brewing are no strangers to pushing the envelope. Clarette is an oak-fermented wild ale with cherries and raspberries added during secondary fermentation. The sourness imparted by their wild house yeast strain brings a unique twist to the beer, leaving the puckering yet familiar aftertaste of Skittles. If your experience with this beer leaves you staring longingly at your empty glass after it’s over, don’t despair — you’re not alone. Don’t miss this one! 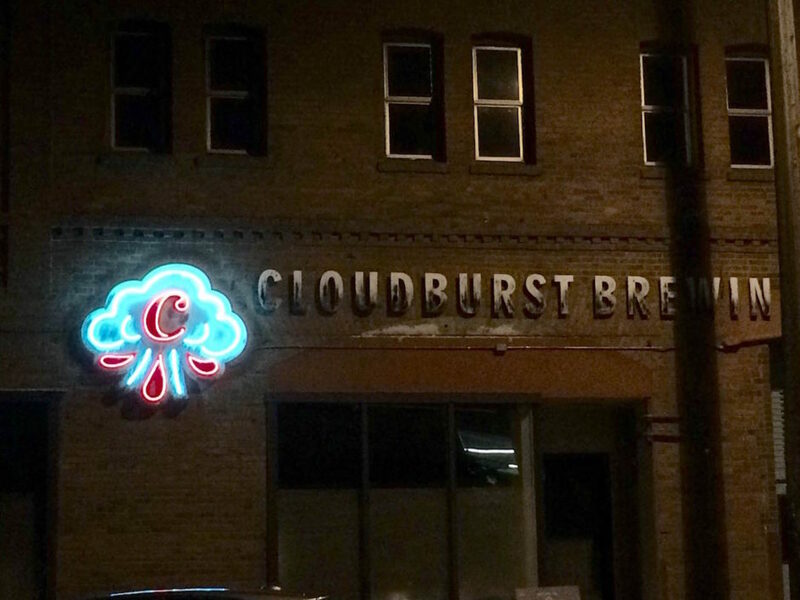 Cloudburst Brewing is a new brewery just a few blocks down Western Ave from Pike Place Market in downtown Seattle. Their Darkenfloxx imperial stout is a marriage between the city’s two favorite beverages: coffee and beer. But we’re not talking your father’s drip coffee. Instead, the brewers infuse decadent, creamy espresso with hazelnuts before matching them to this stout. The result is a silky smooth beer that shines when served as an aperitif. Note that Darkenfloxx is no longer on tap at the Cloudburst tasting room, but you can find it on tap at various locations around the city. Maritime Pacific Brewing Company represents the old guard of craft breweries in Seattle. Open for more than 25 years, Maritime is a fixture in Ballard, cementing its place with beers such as the Jolly Roger Christmas Ale. This Winter Warmer has everything you crave from a winter seasonal: spices, molasses, brown sugar, chocolate, and a nutty finish that piques the drinker’s interest in another round. In fact, this particular beer is a great candidate to be tucked away for a year or two in your cellar, ready to emerge more refined than it entered. Sure, craft beer is all the rage these days. 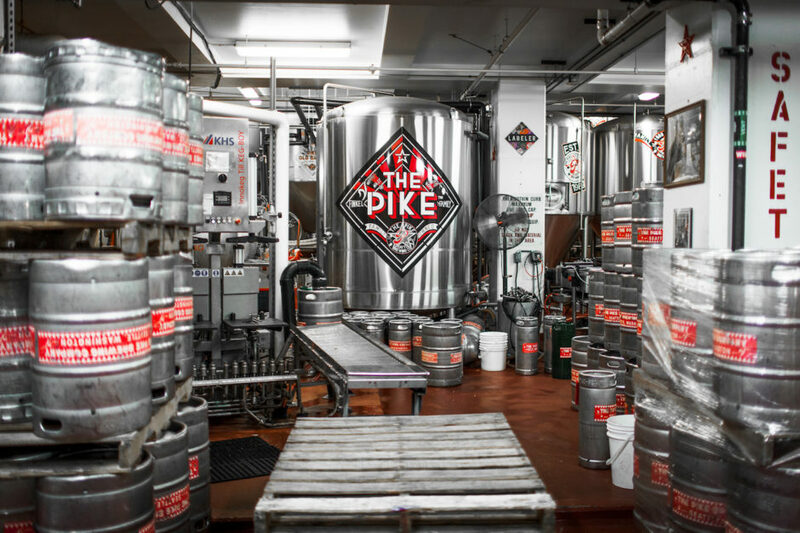 But the crew at Pike Brewing Company were brewing craft beer way back in 1989. Beers like their Old Bawdy barleywine have kept them current and conversed about ever since. This American-style barleywine is just as ugly as every other barleywine, but what it lacks in appearance is delivered in personality. The hop additions are balanced by equal amounts of caramelized grains, setting this one apart from the pack. Old Bawdy is a limited release beer, so you can’t get it year round. 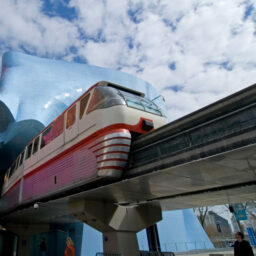 But Pike’s super convenient location in the heart of downtown Seattle means a visit should feature in any trip to the city. The adventurous beer travelers out there may be familiar with the grisette style: a funky, typically (mildly) tart farmhouse ale usually brewed with both wheat and barley. Holy Mountain’s take on the style has resulted in the wonderful Misère Au Borinage, a fantastically tart, dry, oaky, foudre-aged beer. The brewers themselves marveled at the results, claiming the most recent (December 2015) batch was their best to date. If you enjoy barrel-aged saisons, this is one to seek out. Beer is pretty much off limits to those stricken with a gluten intolerance. The founders of Ghostfish Brewing set out to remedy this by using atypical grains such as millet, buckwheat, and brown rice. Thus, every beer they brew is naturally gluten-free. Their Watchstander Stout won gold in the gluten-free category at the 2015 Great American Beer Fest. Drop by their taproom, set among the fibrous network of rail lines in the Industrial District, and see if you can taste the difference. Abominable is perhaps the most famous beer crafted by the artisans at Fremont Brewing, and the only one to have a nickname: B-BOMB. Available in limited quantities each December, this spicy, caramely, bourbony beverage provides the warmth needed as the winter months begin their reign. Grab a bottle for yourself and a loved one, then bunker up for the inevitable hibernation that comes from sharing a beer clocking in at 14% ABV. As popular as IPAs are these days, there are some of us who aren’t particularly keen on being blown away by bitterness. If you’re in this crowd, check out the Citra IPA from Stoup Brewing. Citra hops are loaded with flavors of tropical fruits like pineapple, passion fruit, and mango. Order a fresh glass, close your eyes, and you’ll swear there were actual fruit additions to the beer instead of hops. This is the perfect beverage for apprehensive explorers and hop heads alike. The Citra IPA is regularly on tap at the Stoup brewery in Ballard — located enticingly close to Reuben’s Brews and a host of other craft beer spots that make this neighborhood in north Seattle one serious beer destination. Thomas Berg is an admitted beer geek with a penchant for traveling. In his spare time, you'll find him playing the drums and quoting Community. Great brewery list. Now if you can scope out some reasonable overnight accommodations and how to find transport between all these breweries, that would be outstanding!